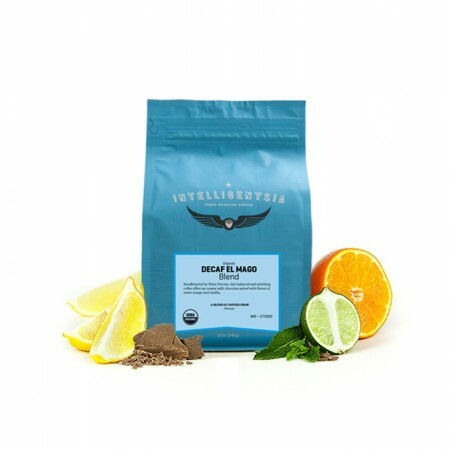 This is the Decaf Mexico Organic El Mago brought to you by Intelligentsia Coffee. This Organic certified decaf coffee is from Mexico and was fully washed before being decaffeinated using the natural Mountain Water decaffeination method. This balanced and satisfying coffee has notes of creamy milk chocolate paired with flavors of sweet orange and vanilla. Wow, I used to kind of snub my nose at intelligentsia coffee - no more! This is a delightful cup of coffee. It certainly has the citrusy notes mentioned, but it also has those cherry notes I love so much. Mistobox, great choice!